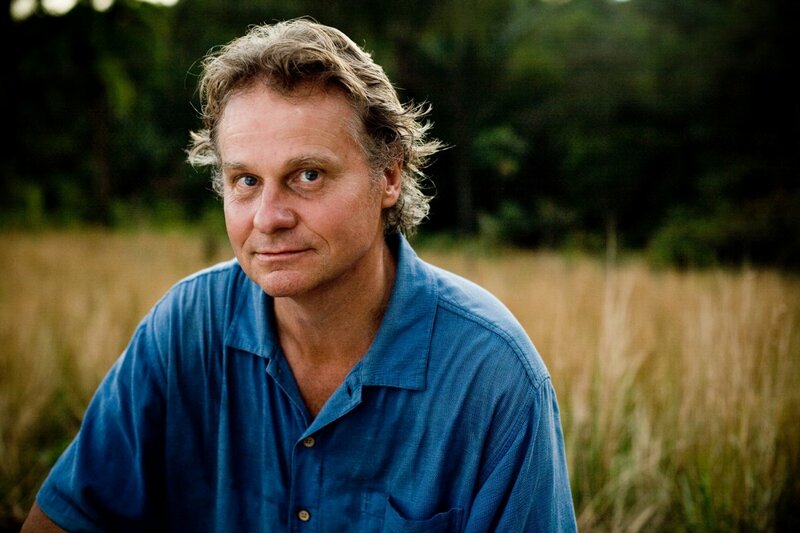 Wade Davis, a National Geographic "explorer-in-residence," will lead a journey through ancient worlds and demonstrate how today's civilizations are richer because of contributions from those of the past when he comes to the University of Oregon on Feb. 12. Davis' lecture, “The Wayfinders: Why Ancient Wisdom Matters in a Modern World,” will be at 7:30 p.m. in 182 Lillis Hall (955 E. 13th Ave.). The lecture is free and open to the public, and will be followed by a book sale and signing. Indigenous human cultures are vanishing at what he calls an alarming rate – 50 percent of the more than 6,000 languages spoken today will cease to exist in our lifetimes. Approximately every two weeks, someone dies and takes with them to the grave the last syllables of an ancient tongue – and the knowledge, stories, customs and footprints of entire cultures. Through his wide-ranging studies – encompassing Polynesian wayfinders, ancient Amazonian forest dwellers, the engineering feats of the Incas and Haitian voodoo practices – Davis has come to understand that the genius of humanity is its ability to adapt to seemingly impossible conditions. He believes that humankind is impoverished and made more vulnerable by the loss of skills that have been developed over the millennia. Davis is an ethnographer, writer, photographer and filmmaker. He holds degrees in anthropology and biology, and received his doctorate in ethnobotany, all from Harvard University. He spent more than three years in the Amazon and Andes as a plant explorer, living among 15 indigenous groups. His work in Haiti investigating folk preparations believed to be used to create zombies led to his book "The Serpent and the Rainbow" (1986), an international best seller later produced by Universal as a motion picture. His other books include "The Wayfinders: Why Ancient Wisdom Matters in the Modern World" (2009), and "Into the Silence: The Great War, Mallory and the Conquest of Everest" (2011). Davis was the series creator, host and co-writer of "Light at the Edge of the World," a four-hour ethnographic documentary series filmed in Rapa Nui, Tahiti, the Marquesas, Nunuvut, Greenland, Nepal and Peru. Davis’s UO visit, hosted by the Oregon Humanities Center, is made possible by the Cressman Lectureship. View live streaming video at ohc.uoregon.edu. For more information, contact ohc@uoregon.edu or (541) 346-3934. Davis’s talk is part of the Oregon Humanities Center’s “being human/human being” theme which offers a fresh look at the human condition – body, brain, heart, soul.